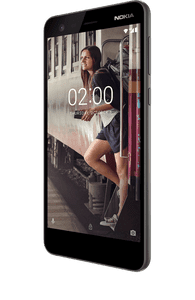 Nokia 2 smartphone was announced some days ago and now is available for everyone but might have circulate the mobile markets of many countries. However, you can view its official specifications, price and features before planning to buy it. In design the phone is adorable. The Nokia 2 brings together crafted aluminum, Corning Gorilla Glass and sculpted polycarbonate for high durability with a sleek, modern design. This is a phone that delivers premium quality from the very first glance to everyday use. 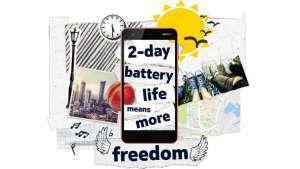 What is like a phone with good battery? Battery holds everything in a phone and with Nokia 2, you can live more between charges because it gives you a 2-day battery life from a single charge with its powerful 4100 mAh battery. Frequent top-up charges will become a thing of the past. In display, your retina is protected as it’s bright and responsive, the 5.0 LTPS LCD screen offers impressive contrast and clarity wherever you go. And it’s energy efficient – whether you’re browsing the web or watching videos, you won’t need to worry about draining the battery in an instant. The Nokia 2 has a perfect balanced performance. The device is built with one of the most trusted chipsets available. Power-efficient and dependable, the Qualcomm Snapdragon 212 Quad-core processor delivers a fluid user experience without compromising your battery life. Oh! Selfie lovers, you are not forgotten. The Nokia 2 comes with 8 MP main camera features automatic scene detection and auto focus. With the 5 MP front-facing camera, your selfies are in safe hands too. And with unlimited uploads to Google Photos, you can capture as many moments as you like. The Nokia 2 comes with Android Nougat 7.1.1, packed with the full spread of Google’s most popular apps and no unnecessary extra. Very neat and friendly mobile experience. CAMERA – 8MP back or rear camera wirh LED flash and 5MP frontal camera. 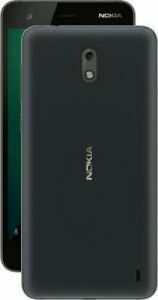 ACCESSORIES – Your Nokia 2, Charger, Charging/data cable, Quick guide and Headset. The phone packs all the wonderful specifications needed in a smartphone and hope to spread soon.